Hindustan Aeronautics Limited (HAL) Recruitment 2017, In the Hindustan Aeronautics Limited (HAL) Recruitment 2017, Current Govt. Jobs for Operators at the Hindustan Aeronautics Limited (HAL) Recruitment 2017. Hindustan Aeronautics Limited (HAL) Recruitment 2017 Operators Posts May 2017, Hindustan Aeronautics Limited (HAL) Recruitment 2017 have been decided to recruit Operators Posts Advertisement Date 03rd May 2017. Important Dates which candidate should remember when applying Hindustan Aeronautics Limited (HAL) Recruitment 2017 as follows. 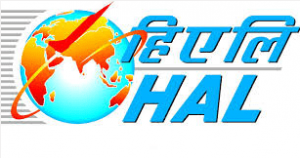 Probably you are waiting for this Hindustan Aeronautics Limited (HAL) Recruitment 2017 Notification you can apply online Hindustan Aeronautics Limited (HAL) Recruitment 2017 posts Operators. Now the question is who can apply the Hindustan Aeronautics Limited (HAL) Recruitment 2017 Job, -Well those are planning to apply for this / these Operators Posts should have the following minimum eligibility criteria. Also Check the Advertisement Details. Regular/ Full Time ITI + NAC / ITI + NCTVT after 10th Standard in the Trades of Machinist/ Turner/ Grinder/ Fitter/ Electrician/ Electronics Mechanic/ Instrumentation Mechanic. All qualifications should be from Institute recognized by the appropriate Statutory Authorities in the Country. For engagement, the candidate possessing higher technical qualifications than the required qualification indicated in the Advertisement/ Notification, need not apply. Candidates pursuing / enrolled for any other qualifications should mandatorily indicate the same in the application format. Candidature of such personnel who possesses higher qualification than the required qualification indicated in the Advertisement/ Notification will be rejected at any stage of the recruitment/ selection.  Upper age limit as on 01/02/2017 will be for UR- 28 years; SC/ST- 33 years; OBC(NCL)- 31 years. Candidates belonging to OBC – Non-creamy layer category are required to submit OBC certificate not older than six months as on 01/02/2017, in the prescribed format at the time of document verification. The SC/ST category is also required to produce the community certificate in proof of their community at the time of document verification in the prescribed format.  In respect of Persons with Disability (PWD), upper age limit is relaxable by 10 years which will be over & above the relaxation admissible for candidates belonging to SC/ST/ OBC as mentioned above.  Ex-Apprentices of HAL (who had undergone apprenticeship training at HAL, Lucknow or any other Divisions of HAL) would be given the age relaxation to the extent of the period for which the Apprentice had undergone training in HAL Divisions under Apprentices Act, 1961.  Proportionate relaxation in upper age limit will be give to the candidates having relevant work experience. The upper age limit is relaxable for the candidates with relevant post qualification experience, to a maximum extent of 7 years. Relaxation in age would be one year for every completed year of relevant post qualification experience over & above 28 years subject to a maximum age limit of 35 years. This relaxation with the relevant post qualification experience will be applicable to the concerned reserve category candidates and all Ex-Apprentices of HAL over & above their respective upper age limits.  Ex-Servicemen who has put in not less than six months continuous service in the Armed Forces of the Union, shall be allowed to deduct the period of such service from his actual age and if the resultant age does not exceed the maximum age limit prescribed for the post or service by more than 3 years, he will be deemed to satisfy the condition regarding the age limit.  The Upper age limit with all relaxations shall not exceed 55 years, as on 01/02/2017 except for candidates belonging to PWD Category. For PWD candidates the upper age limit with all relaxations should not exceed 56 years as on 01/02/ 2017.  For candidates who have ordinarily been domiciled in the State of Jammu & Kashmir during the period 01.01.1980 to 31.12.1989, upper age limit is relaxable by 5 years. An annual increase of 3% during the tenure shall be admissible on the Basic Pay subject to satisfactory performance. Provident Fund contribution will be calculated taking into account the Basic Pay + Personal Pay + Dearness Allowance components of the consolidated emoluments. The engaged personnel will be covered under the Income Tax, Service Tax, Professional Tax etc. as per the applicable rules and all such taxes would be payable by them. The Interested candidates can pay their application fees through Demand Draft drawn on any Nationalized Banks, preferably State Bank of India, in favour of “Hindustan Aeronautics Limited, Accessories Division, Lucknow”. How to Apply Online HAL Recruitment 2017 ?  Applications for various posts shall be received online. Eligible and interested candidates are required to apply online only through the link given in HAL Website i.e. www.halindia.com. No other means/ mode of application will be accepted. The Website will remain functional from 08:00 Hrs. on 03/05/2017 to 24:00 Hrs. on 16/05/2017 for submission of online application.  On submission of application, an Acknowledgement will be generated online, mentioning the System Generated Application Reference Number with other details/ information for reference to the candidates and provision to take a print out of the submitted application.  The claim of the candidates with regard to the Date of Birth, Educational Qualifications, Experience and category etc. are accepted provisionally on the basis of information provided by them in the online application and is subject to verification and meeting the prescribed standards of HAL. Mere admission to Written Test or inclusion of the name of a candidate in the merit list will not confer any right for employment. The candidature is therefore, provisional at all stages and if the information/ certificates furnished by the candidates in any part/ stage is found to be false/ incomplete or is not found to be in conformity with eligibility criteria mentioned in the advertisement, the candidature/ appointment will be considered as revoked/ terminated at any stage of recruitment process or after recruitment or joining, without any reference given to the candidate.  The candidates are required to deposit Application Fee of Rs. 200/- (Rupees Two Hundred only) which is non-refundable (exempted in case of SC/ ST/ PWD/ Ex-Apprentices of HAL/ Candidates sponsored by Employment Exchange & Zilla Saink Welfare Board) through Demand Draft drawn on any Nationalized Banks, preferably State Bank of India, in favour of “Hindustan Aeronautics Limited, Accessories Division, Lucknow”. Candidates are required to mention the DD No., Date of Issue, Name of Issuing Branch etc. in the online application form. Thereafter the original Demand Draft is to be sent by Speed Post/ Registered Post/ Courier to Manager (HR), Hindustan Aeronautics Limited, Accessories Division, Faizabad Road, Lucknow- 226016 by writing the name of the Candidate, Post applied for and Application Reference No. on the reverse of the Demand Draft so as to reach the same to the above mentioned address latest by 23/05/2017. It may be noted that if the original Demand Draft is not received to the above address within the due date, candidature of such candidate will not be considered and the application will be summarily rejected without making any further correspondence to the candidate. HAL will not be responsible for any postal delay in this regard. The Interested candidates who are going to apply Hindustan Aeronautics Limited (HAL) Recruitment their selection process will be based on Written Test.  Only Indian Nationals need to apply.  One candidate can apply for one post only.  Persons with 40% or more relevant disability will only be considered in PWD category. Candidates are required to produce disability certificate issued by the Competent Authority at the time of document verification.  Date, time & venue of the Written Test will be intimated to the shortlisted/ eligible candidates via E-mail (in the E-mail ID provided in the online application format by the candidates) and SMS. The same will also be hosted on the HAL website (www.hal-india.com).  Mere meeting the conditions of the advertisement by the candidate(s) will not automatically entail them to be called for test/selection & appointment.  Candidates already possessing higher qualification than the required qualification indicated in the Advertisement/ Notification need not apply.  All the Qualifications possessed by the candidates as also Qualifications/ Courses being pursued by them at the time of submitting the application for employment, are to be clearly indicated in the online application. If it is found at any stage of recruitment that the candidate is possessing higher qualification than the required qualification for the specified post, his/ her candidature will be rejected summarily without making any further correspondence to the candidate in this regard.  Candidates who are employed in Govt./ Public Sector/ Semi-Govt. undertaking will not be allowed for verification of original documents and for joining unless he/ she produces a No Objection Certificate(NOC) from his/ her present employer.  Candidates availing age relaxation on account of post qualification experience should produce relevant and proper experience certificates and proof of employment at the time of verification of original documents failing which, their candidature will be summarily rejected. (i) In case of experience possessed by candidates engaged on contract basis directly by PSUs/Central/Sate Governments, experience certificate is to be produced from such PSUs/Central/Sate Government etc, indicating the contract engagement. As regards NOC, the same needs to be in line with the terms & conditions of contract engagement and Rules applicable for such contract engagement in the concerned organization. (ii) In case of experience possessed by candidates engaged on contract basis directly by Private Organization, experience certificate is to be produced from such organization indicating the contract engagement. Such experience will be considered subject to scrutiny in terms of nature of experience, responsibilities, assignments, etc.  The qualification, percentage of marks / class, caste, age, experience, etc. indicated by the candidates in the online application would be taken on its face value, before calling the Candidates for the written test.  Applications that are not in conformity with the requirements indicated in this advertisement/ incomplete applications/ discrepancy in the information provided / those received after the last date will not be entertained.  Selected candidates will be posted at HAL, Accessories Division, Lucknow or anywhere in India, based on the requirements of the Company. The candidate will not be allowed to apply for transfer to any other Division / Location of the Company for initial three years of service.  HAL reserves the right to cancel / restrict/ enlarge/ modify/ alter the Advertisement/ Recruitment process and/ or the Selection Process there under, without issuing any further notice whatsoever. Number of vacancies can be modified as per the discretion of the Management or even cancel the whole process of engagement without assigning any reason.  The decision of HAL in all matters relating to eligibility, acceptance or rejection of applications, mode of selection, conduct of Written Test etc. will be final and binding on the candidates.  While applying for the post the applicant should ensure that he/ she fulfils the eligibility criteria and other norms as mentioned above as on the specified dates and that the particulars furnished by him/ her are correct in all respects.  All correspondence to the candidates will be made via E-mail on the E-mail ID provided by the candidate in the online application format. No other mode of communication will be adopted.  Any sort of canvassing or influencing of the employees related to recruitment/ selection process would result in immediate disqualification of the candidates.  Any further information / Corrigendum / Addendum would be uploaded only on HAL website.  Candidates who have applied against our earlier Notification No. HALADL/1211/HR/R/2017/03 Dated 27.03.2017 need not apply again as their application against the same will be considered.  In case of any particular query not covered above, the candidate can write to HAL at E-mail ID recruitment.adlko@hal-india.com only. No other method of communication will be entertained. Hindustan Aeronautics Limited (HAL) Recruitment 2017, In the Hindustan Aeronautics Limited (HAL) Recruitment 2017, Current Govt. Jobs for Trade Apprentices at the Hindustan Aeronautics Limited (HAL) Recruitment 2017. Hindustan Aeronautics Limited (HAL) Recruitment 2017 Trade Apprentices Posts May 2017, Hindustan Aeronautics Limited (HAL) Recruitment 2017 have been decided to recruit Trade Apprentices Posts Advertisement Date 02nd May 2017. Probably you are waiting for this Hindustan Aeronautics Limited (HAL) Recruitment 2017 Notification you can apply online Hindustan Aeronautics Limited (HAL) Recruitment 2017 posts Trade Apprentices. Now the question is who can apply the Hindustan Aeronautics Limited (HAL) Recruitment 2017 Job, -Well those are planning to apply for this / these Trade Apprentices Posts should have the following minimum eligibility criteria. Also Check the Advertisement Details. How to Apply HAL Recruitment 2017 ? Candidates should register themselves for apprenticeship in Government of India Apprenticeship Portal www.apprenticeship.gov.in. Candidate should select “Establishment Search” under Establishment menu in the above site and select “Hindustan Aeronautics Limited, Nasik” for undergoing apprenticeship training with HAL This is compulsory. If the candidate does not select “Hindustan Aeronautics Limited, Nasik for undergoing apprenticeship training, their application cannot be processed further. Last date of application through portal www.apprenticeship.gov.in : 15.05.2017. Deputy Manager (Training), Training and Development Institute Hindustan Aeronautics Limited, Aircraft Division, Ojhar, Tal- Niphad, Dist. Nasik – 422207. 3. It is mandatory to upload SSC Marks Certificate, ITI Marks certificate (all semester) and Photograph, signature of the candidate in the portal. Applications without these will be summarily rejected. However, the company shall not be responsible for any application being rejected or candidate not shortlisted due to improper attachments and incorrect data. 4. Candidates should enter a valid email id and contact mobile number in the web portal. Also ITI Certificate number, Aadhaar card number, Date of Birth, Category (CAST), Council and Trade details. However, the company shall not be responsible for any application being rejected or candidate not shortlisted due to incorrect data. 10. a) Ex-ITI (NCVT) candidates applying under XSM quota are required to submit the documents in proof of their claim along with attached Performa (at annexure-2) by post or by Hand, which should reach at the following address on or before 15.05.2017.
b) Wards of serving/retired/deceased employees of HAL are required to submit the details of application along with the details of the employee in the attached Performa (at annexure 1) by post or by Hand, which should reach at the following address on or before 15.05.2017. 11. Canvassing in any form will be treated as disqualification. 12. HAL reserves the right to cancel the advertisement and br the selection process there under. Decision of HAL Management regarding the selection will be final. Further HAL Management reserves the full right to fill up or otherwise any or all the notified posts depending on the availability of the candidates in any trade/discipline and also to fill up the vacancies if any. 13. For latest update on the merit list, please visit www.hal-india.com regularly.